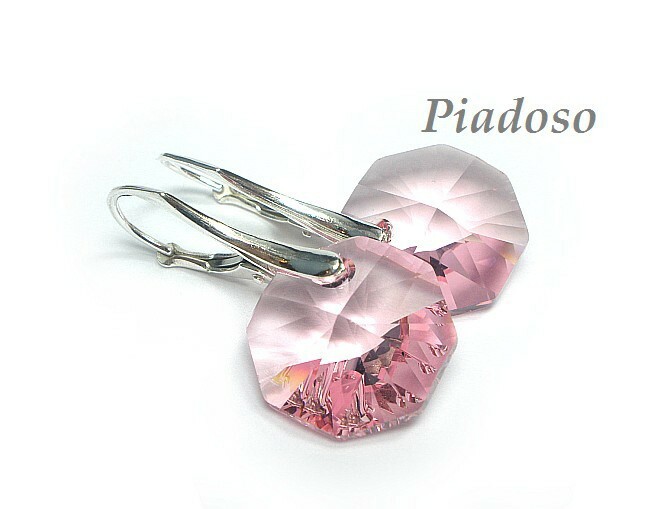 SWAROVSKI GENUINE EARRINGS OCTAGON LIGHT ROSE STERLING SILVER WITH CERTIFICATE. 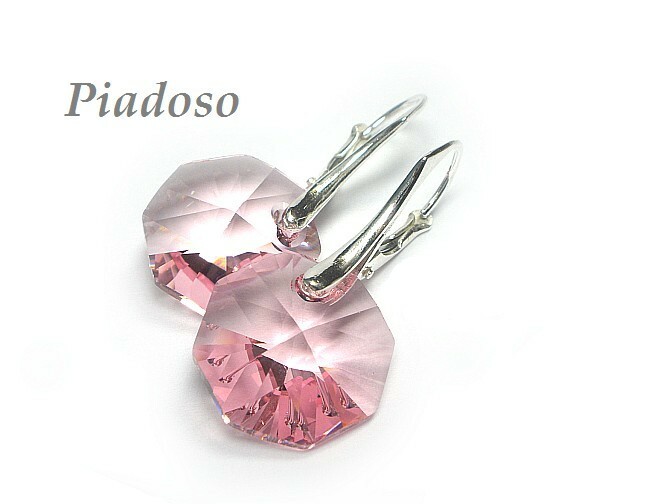 Sterling Silver Beautiful Earrings with exclusive Swarovski Elements Crystals. The Crystal Octagon 12 mm Light Rose are made with big Light Rose octagons in famous collection Swarovski Elements. 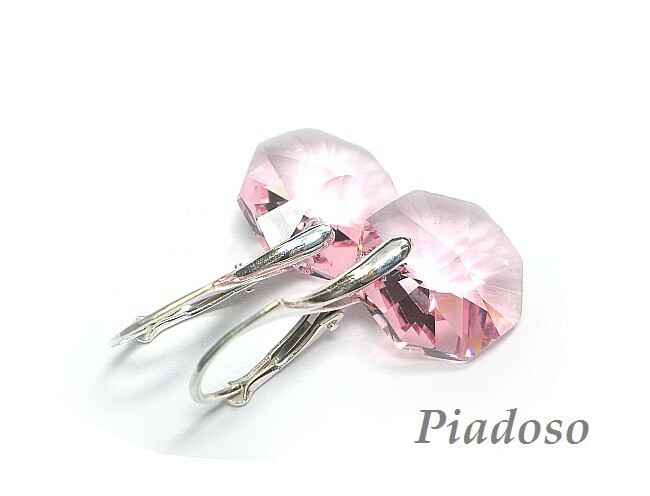 Adorable crystal - all sparkling which is best known for Swarovski crystals. Crystal size - 12 mm. Earrings total length - 27 mm. Sterling silver 925. The clasps are all made with Sterling silver 925. The stamp is marked on the clasps.